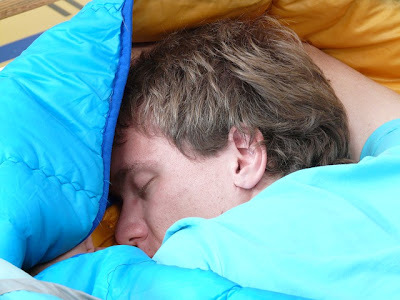 UMP | University of Minnesota Press Blog: How natural is human sleep? Coming to terms with American expectations of normal sleep. Matthew Wolf-Meyer gives a brief overview of the history of sleep and its common misunderstandings. You’re sitting at your desk, slowly reading through your response to a friend’s email, when you feel the sudden tug of sleepiness. The next thing you know, you’re waking up with your head on the desk, your hands folded under you in a makeshift pillow. Or, you're riding on the train, playing a game on your iPhone, when the next thing you know you’re waking up and reaching under your seat to fish for your phone. You haven’t been napping long, so hopefully nobody noticed. Maybe it’s just incidental sleepiness – you haven’t been sleeping well lately – but it happens with more and more regularity. Maybe it’s time to see a doctor about it? Over the last decade or so, Americans have become more and more aware of sleep and its disorders. One way to think about this change in public awareness is that it’s due to the new recognition of sleep disorders – that science has discovered new pathologies, their causes, and cures. This might appear to be the case with narcolepsy, the sudden onset of sleep, often associated with momentary heightened emotions, which has been diagnosed more commonly since the 1970s. In fact, we’ve had a reasonably well-articulated sense of narcolepsy since the 1820s, thanks to Scottish physician Robert Macnish, who described it as ‘drowsiness’ in his Philosophy of Sleep. We still don’t really know what causes narcolepsy, but we do have treatments for it that are reasonably well tolerated by narcoleptics. And this might be the reason why we’re paying so much more attention to sleep these days: changes in pharmaceuticals. But that’s not strictly true either, since throughout history we’ve have suitable if not wholly effective treatments for a number of sleep disorders – we just prefer pharmaceuticals to changes in lifestyle these days. Rather, our heightened interest in sleep has everything to do with our disconnection from history and the many changes that American sleep and society have gone through over the last two centuries, which make a lot of phenomena seem new, when we’ve been living with them for centuries. I’ve heard similar sentiments from scientists and physicians before. They’re busy on the frontline, dealing with the demands of patients, writing grants, and conducting their own research, and don’t have the time to do investigative social research. At one conference where I was talking about the history of the sleepwalking defense for murder cases in the U.S., I saw more audience members – scientists, physicians and other medical professionals – take more notes on my quick discussion of the history of narcolepsy than on the changing conceptions of intent in American law, both of which one cannot fully appreciate without understanding the U.S. in the 19th century. One of the things social scientists are especially good at is debunking things that we’ve come to accept as natural. This process is often referred to as denaturalization – showing how what we take to be natural is the result of a history of human action that has moved something from being understood as social to natural. One of the cases I discuss at length in my book is that of consolidated sleep in the U. S. The eight hours of sleep so many of us seek out each night is not based in nature, but instead is the invention of many doctors, scientists, and business owners, and began in the 19th century to only be fully realized in the 20th. Previous to the mid-1800s, many Americans slept in what’s referred to as biphasic fashion. That is, they would fall asleep around dusk, wake up a few hours later for a couple hours, and then sleep for a few more hours before waking around sunrise. Or, they would sleep for a few hours at night and a few more during the day. 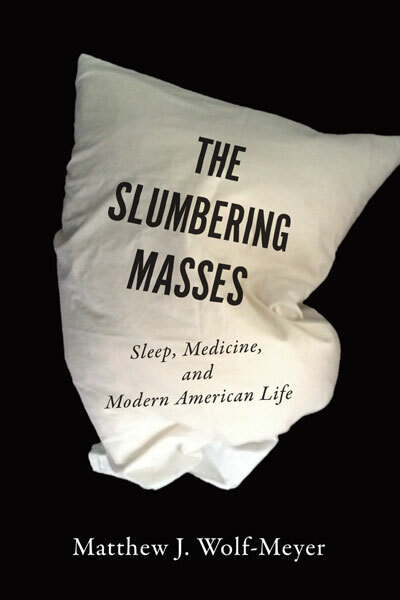 We have evidence of this in England, thanks to historian Roger Ekirch, and, as I discuss in The Slumbering Masses, American medical literature in the 19th century is full of references to these kinds of sleep patterns. When you think about it, our nights are often much longer than eight hours, so even if our sleep is determined by our environments, we would assume that humans would sleep much more than they do; instead, humans need less than a full night’s sleep as reckoned by the sun. We need somewhere between 6-10 hours each night, a figure that changes over the life course, with children and adolescents needing more and the elderly needing less. How we manage to get that sleep is up to us, or, rather, it’s often up to social norms. In the U.S., we tend to prefer nightly, consolidated sleep – eight straight hours, with no nap during the day. For preschoolers it might be different, with longer nightly sleep and naps to boot. But, elsewhere and over the course of history, sleep arrangements have been different. In their efforts to understand biological phenomena, scientists can sometimes substitute what they believe for scientifically deduced fact. This is the case with American models of sleep, where early researchers in the 20th century used the consolidated model of nightly sleep for the basis of their scientific research. If they had used different models – say models that favor biphasic sleep – contemporary sleep science and medicine might look a lot different than they currently do. Social scientists then, and cultural anthropologists especially, work hard to denature the facts that have come to be taken for granted – by scientists and the public. Critique of this sort is important for a number of reasons. First, it serves as a corrective when beliefs come to be taken as facts. Secondly, it opens up science to be a dialogue. When science is only happening in labs, it’s liable to be susceptible to the biases of researchers and the expediencies of grants, publication and promotion – hence the recent increased awareness about the prevalence of fraud in scientific publishing. And, most importantly, it infuses science with the lived experiences of individuals – which is why we do science in the first place: to make our individual and collective lives better. So when we take scientific fact as the basis of our lives – whether it be something we read on the internet or a pill we’re prescribed – we should always consider whether it helps us make sense of our life. And if it doesn’t, we should keep looking for answers. Some of those answers might be found in history or in other societies, where we might come to see that our sleep hasn’t always been what it is or that we might arrange our days and nights differently. This isn’t so much debunking science as helping bring it to life.